I do love a good bike with a classic look, and the late-50s/early 60s BMW R60 is a fine example. 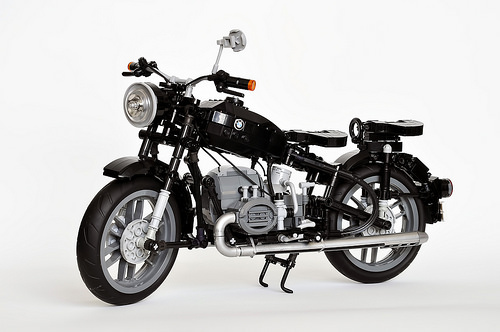 This LEGO version by Taiwanese builder Maxime Cheng shows off all the great lines of this old-school German bike. 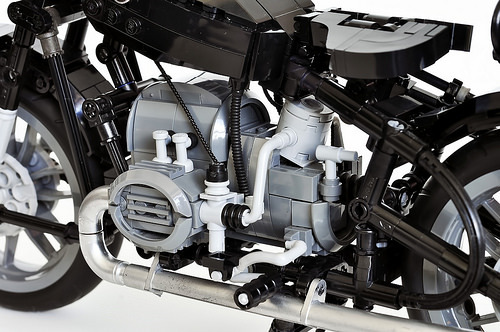 My favorite details are the twin bicycle seats, though Maxime’s done a fantastic job with the detail work on the engine also. 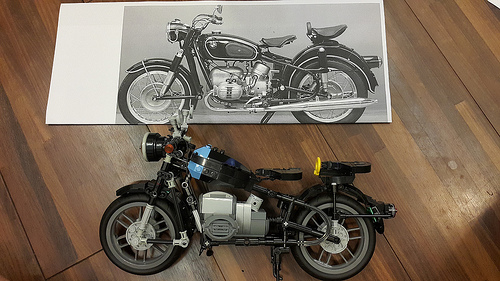 And I love this image of the work-in-progress model next to its reference image.